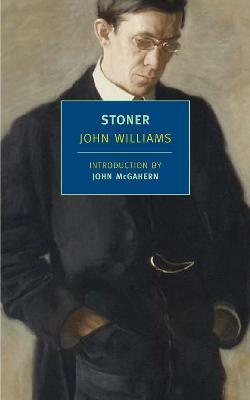 William Stoner is born at the end of the nineteenth century into a dirt-poor Missouri farming family. Sent to the state university to study agronomy, he instead falls in love with English literature and embraces a scholar's life, so different from the hardscrabble existence he has known. And yet as the years pass, Stoner encounters a succession of disappointments: marriage into a "proper" family estranges him from his parents; his career is stymied; his wife and daughter turn coldly away from him; a transforming experience of new love ends under threat of scandal. Driven ever deeper within himself, Stoner rediscovers the stoic silence of his forebears and confronts an essential solitude. John Williams's luminous and deeply moving novel is a work of quiet perfection. William Stoner emerges from it not only as an archetypal American, but as an unlikely existential hero, standing, like a figure in a painting by Edward Hopper, in stark relief against an unforgiving world. John Williams (1922-1994) was born and raised in northeast Texas. Despite a talent for writing and acting, Williams flunked out of a local junior college after his first year. He reluctantly joined the war effort, enlisting in the Army Air Corps, and managing to write a draft of his first novel while there. Once home, Williams found a small publisher for the novel and enrolled at the University of Denver, where he was eventually to receive both his B.A. and M.A., and where he was to return as an instructor in 1954. Williams remained on the staff of the creative writing program at the University of Denver until his retirement in 1985. During these years, he was an active guest lecturer and writer, publishing two volumes of poetry and three novels, Butcher's Crossing, Stoner, and the National Book Award-winning Augustus. John McGahern (1934-2006) was one of the most acclaimed Irish writers of his generation. His work, including six novels and four collections of short stories, often centered on the Irish predicament, both political and temperamental. Amongst Women, his best-known book, was shortlisted for the Booker Prize and made into a popular miniseries. His last book, the memoir All Will Be Well, was published shortly before his death.